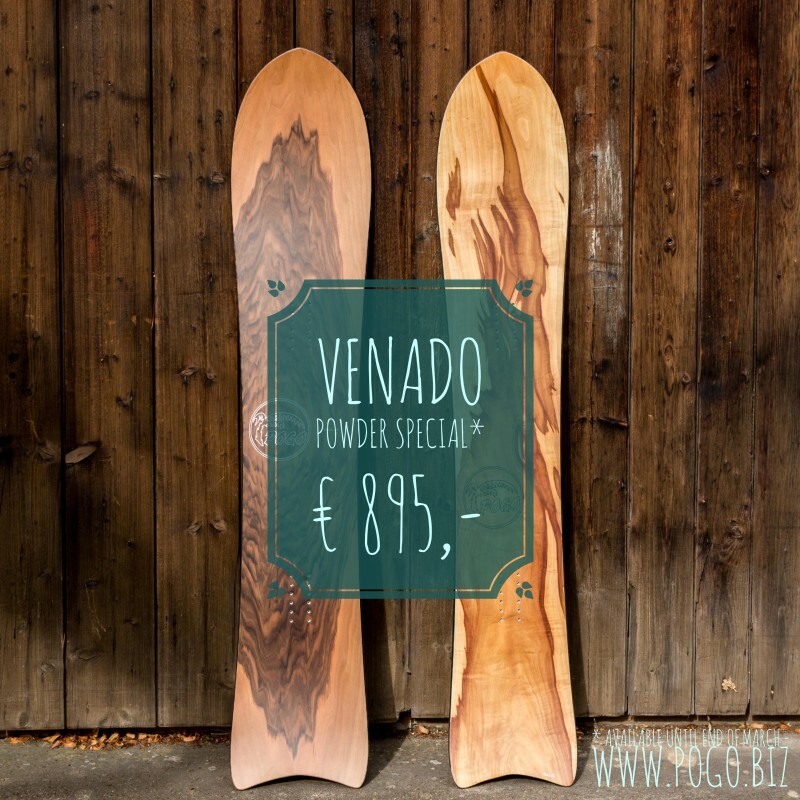 Blog - Yes, Venado Special Offer! Only till the end of march we offer one of the most popular POGO powderboards for a super deal. So don't hesitate, this is a one time chance to get your hands on a Venado for such a price. And then enjoy the next big portion of white magic with the right weapon under your feet. Pogo Snowboards was founded in 1983 by engineers and Snowboard pioneers Yogi Maerz and Martin Sammet. All Pogo boards are still handcrafted in our 400 year old farm in southern Germany by a group of dedicated snowboarders and longboarders. Every board is unique. Pogo Boards are sustainable due to their live-long free repair service.